Catherine Bertini, currently Professor of Public Administration and International Affairs at Maxwell School of Citizenship and Public Affairs, and a distinguished fellow at the Chicago Council of Global Affairs, was a former Executive Director of United Nations World Food Programme (1992-2002). 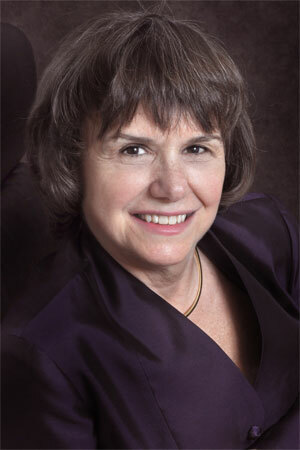 Throughout her life, Ms. Bertini has put advancement of women and decreasing hunger at the core of her agenda. She is a World Food Prize Laureate and has been accorded with numerous awards, commendations and honorary degrees. Syracuse, NY, USA, Mar 8 2016 (IPS) - It is time to “celebrate” International Women’s Day (IWD) again. Celebrating women sounds like a positive, upbeat action. We can note women’s increasing roles in government, in business, and as leaders of civil society. We can also describe how women are the backbone of every community and virtually every family. What we can’t do is celebrate the facts that women are still less literate than men, and that girls are not yet in school, especially secondary school, in the same numbers as boys. We cannot celebrate that women often cannot own or inherit property, nor qualify for loans. We can’t yet highlight that women are excluded from many careers and almost forced into others. And we surely can’t be happy in the huge wage gap between women and men. We cringe when thinking of violence perpetrated against women and girls, including those kidnapped in Nigeria who are still not yet home. • Educated girls earn more income, have fewer and healthier children, are more productive farmers, have healthier families, and send their own children to school. • Women are ten times more likely to use their income to support the nutritional wellness of their families than are men. • Women carry out at least two full time jobs each day – one to earn money or grow food, another to feed and care for their families. • Women pay back loans at far higher rates than most men. • GDPs of countries rise when more women are educated. With these types of outcomes and import, why is it that the world does not invest directly in women and girls? Policy makers and funders inside and outside of government, still don’t appreciate that there are gender differences that must be considered in order to maximize possibilities for poverty reduction. For instance, women’s voices are seldom heard on what they truly need and want. Men are, more often than not, community spokespeople, and expressing the needs of women are not necessarily on their priority lists. Yet women and girls have different needs and concerns. Men as spokespeople may ask for schools to be built, but not necessarily with adequate latrines for teenage girls. They may ask for hoes for farmers, but not the shorter hoes that many women prefer to utilize while they are carrying babies on their backs. They may hire extension workers – other men – to give agricultural advice to farmers, but in how many rural communities will women (often the majority of the farmers) take advice from a man not related to her? And men may not put a high priority on bringing perpetrators of gender based violence to justice. So for IWY this year, rather than celebrate, let’s “commit” – commit to thinking through gender roles every time we consider a new policy or new or renewed funding. We should commit to listening to women and girls on what they need and commit to do our part to build our work around their needs. And if we are to hear women’s voices, the international community needs to include more women on our own staffs and teams. Let’s throw the excuses in the dust bin of history and commit to listening to women and girls and to supporting programs they want and need. Then some year in the near future, on International Women’s Day, we can truly celebrate women and their major impact on ending poverty throughout the world.